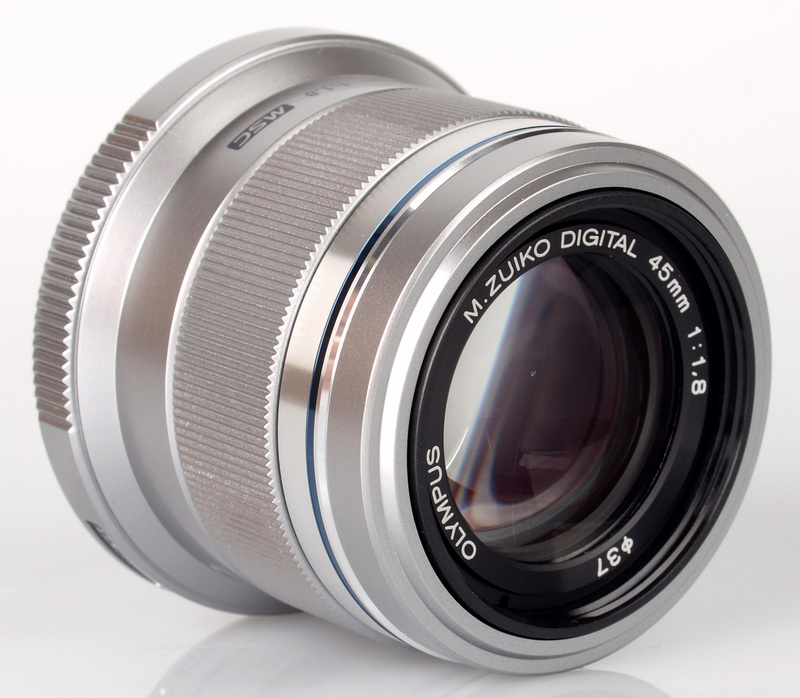 Gary Wolstenholme reviews the Olympus 45mm f/1.8 Zuiko Digital Micro Four Thirds lens. This medium telephoto optic for Micro Four Thirds compatible cameras sports a fast maximum aperture of f/1.8, internal silent focusing and a low price of around £250. 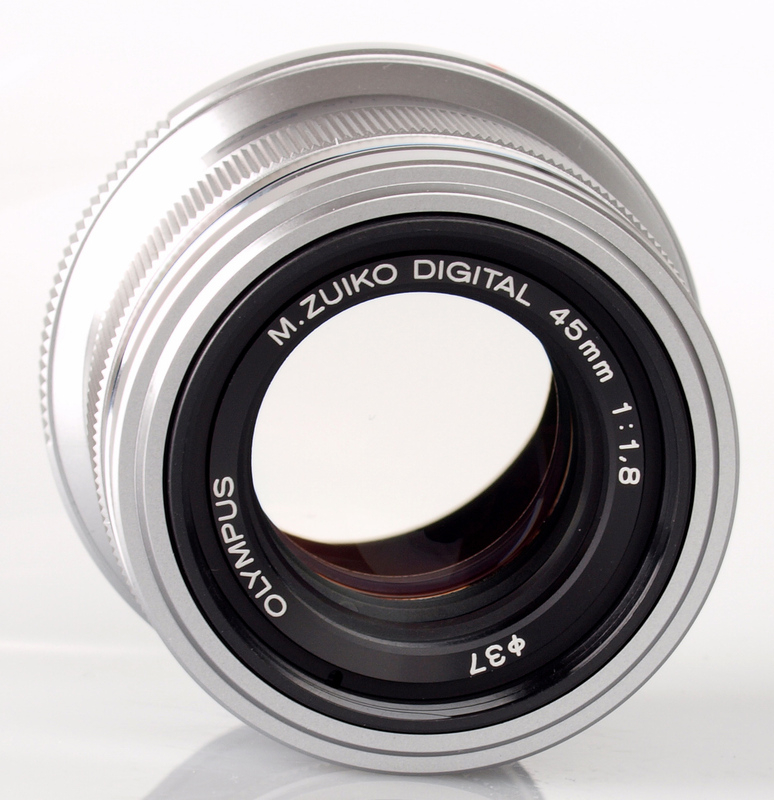 Panasonic's 45mm f/2.8 Macro Leica D Vario Elmar lens may be a suitable equivalent. Although it only has a maximum aperture of f/2.8 and costs around £600, it has the extra flexibility of closer macro focusing. This compact telephoto prime lens weighs only 116g, which makes it a perfect companion for the lightweight Micro Four Thirds system, and this lens balances well on the Olympus E-PM1 used for testing. 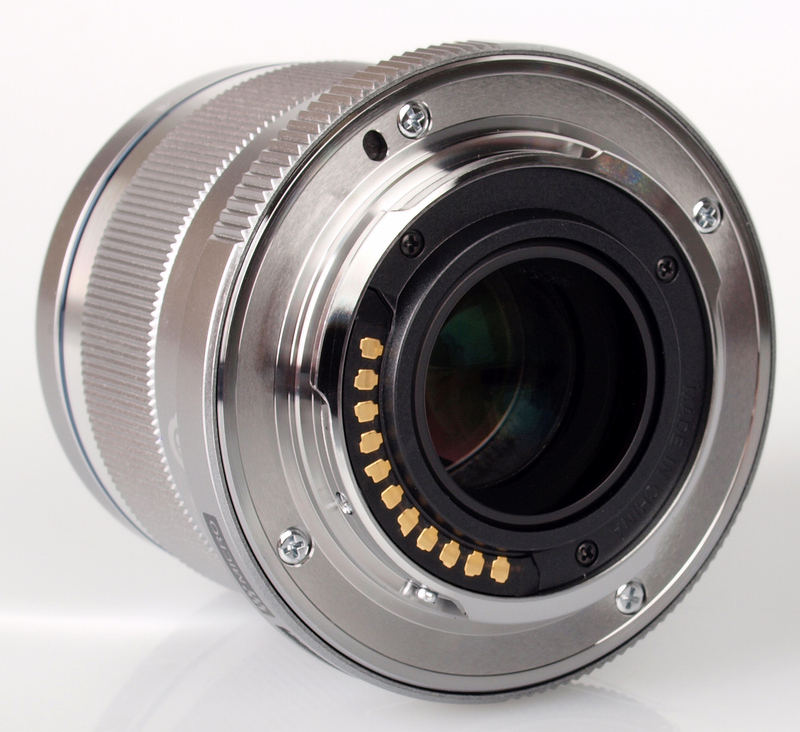 Much of the lens barrel is constructed from high quality plastics, with a smart metallic finish applied to them. The lens mount is made from metal, which should enhance the durability of the design. The build quality is good for a lens of this price. It manages to feel relatively solid, yet lightweight. Olympus' MSC focus motor provides near-silent focusing, which is plenty quick enough for general photography when used on the E-PM1. When shooting at wide apertures, extra care needs to be taken to ensure accurate focusing. Auto focus is performed internally so the 37mm filter thread does not rotate or extend during use. A slim decorative ring with a metallic finish located around the filter thread can be removed, exposing a bayonet fitting. This ring can be exchanged for ones of a different colour, or for the optional LH-40 lens hood, which costs around £20. At maximum aperture, this lens already produces excellent resolution in the centre portion of the frame. Towards the edges, the resolution remains very good, which is excellent performance for a wide aperture lens. Stopping the lens down to between f/5.6 and f/8 results in outstanding sharpness across the frame with sharpness in the centre being at its highest at f/5.6. 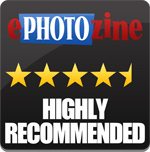 For this review, the lens was tested on an Olympus PEN Mini E-PM1 using Imatest. Chromatic aberrations are kept well below levels that may become noticeable, in either large prints or harsh crops from the edges of the frame. 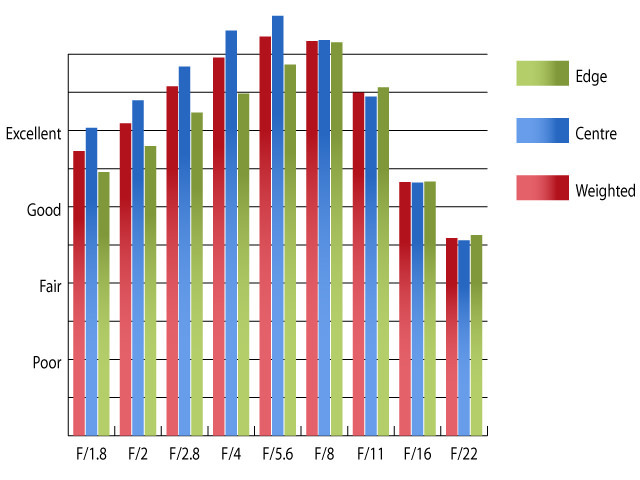 At their worst, CA levels reach 0.45 pixel widths at f/22. As falloff and distortion are corrected by the camera's image processing engine when shooting JPEGs, falloff and distortion will only be easily visible when shooting in RAW format. Falloff of illumination towards the corners is very well controlled, especially so for a fast aperture lens. 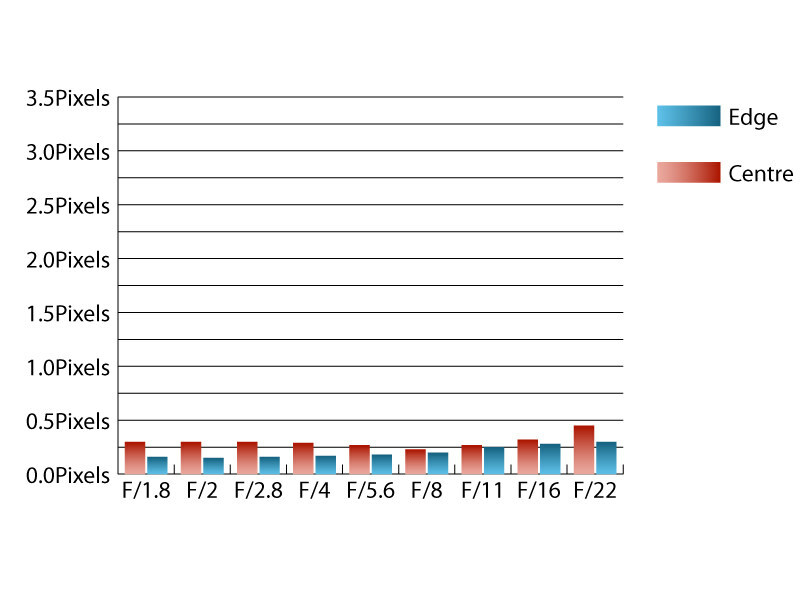 At f/1.8 the corners are only 0.76 stops darker than the image centre and visually uniform illumination is achieved at f/2.8. Levels of distortion are also very low, as you might expect for a prime lens like this. Imatest managed to detect 0.215% barrel distortion, which will be very difficult to spot by eye, even with straight lines close to the edges of the frame. Flare is rarely an issue with this lens, except in exceptional circumstances. Shooting directly into bright sources of light will result in a loss of contrast, but no more so than similar lenses. An optional lens hood can be acquired and although this optic isn't overly prone to flare, it would've been nice for the hood to come included. The low price may be a little misleading at first glance, as this lens is a very capable optic. It focuses quickly on the E-PM1 body used for testing and is capable of producing outstanding levels of sharpness. The light weight and good build quality are also assets. Those looking for a fast aperture prime lens for portraits, photography in low light, or for greater control over depth of field will not be disappointed. 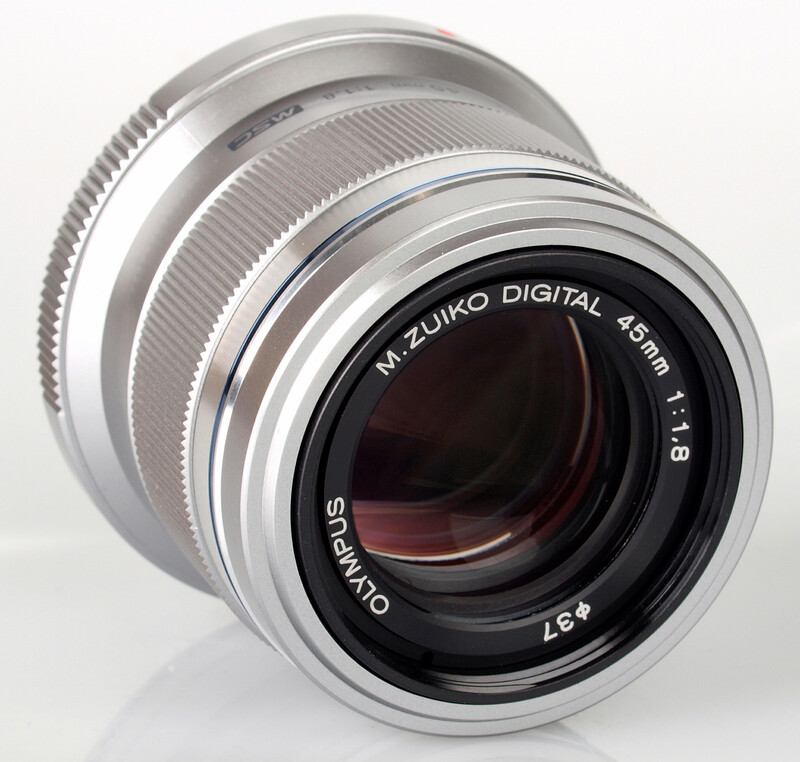 The Olympus 45mm f/1.8 Zuiko lens offers excellent performance at a superb price. These M43 lenses seem to be where all the best development is taking place. If at some point an M43 sensor can be made that has the same noise/ resolution as the current Sony APS-C sensor I think even most enthusiasts would look no further. These M43 lenses seem to be where all the best development is taking place. If at some point an M43 sensor can be made that has the same noise/ resolution as the current Sony APS-C sensor I think even most enthusiasts would look no further. The specification, graphs and price all look great but the sample photos really don't do it any favours at all. Having sold my DSLR kit and my Leica DLux5, this may well be where i looking to buy next. Lightweight, fast focus and razor sharp images must make the M43 range the future of camera development. 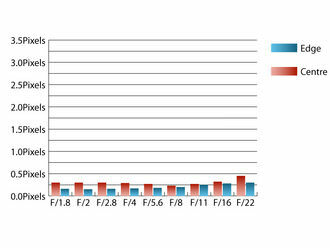 The only bad taste that that this lens leaves is the £30 for the lens hood - over 10% the cost of the lens! How would this lens do for street photography i wonder?